These skirts are oh-so-wearable and suitable for almost all occasions. It's the perfect dress to feel comfortable and look glamorous at the same time. They can be custom made to fit your specific waist, hip, and length measurements. The fabric is a medium weight stretchy material that is very soft and flowy but not transparent. 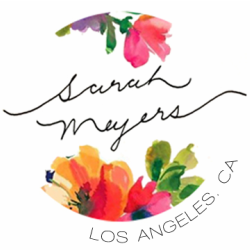 If you want an everyday skirt that is easy to mix and match dressed up or down, opt for a Sarah Meyers skirt.